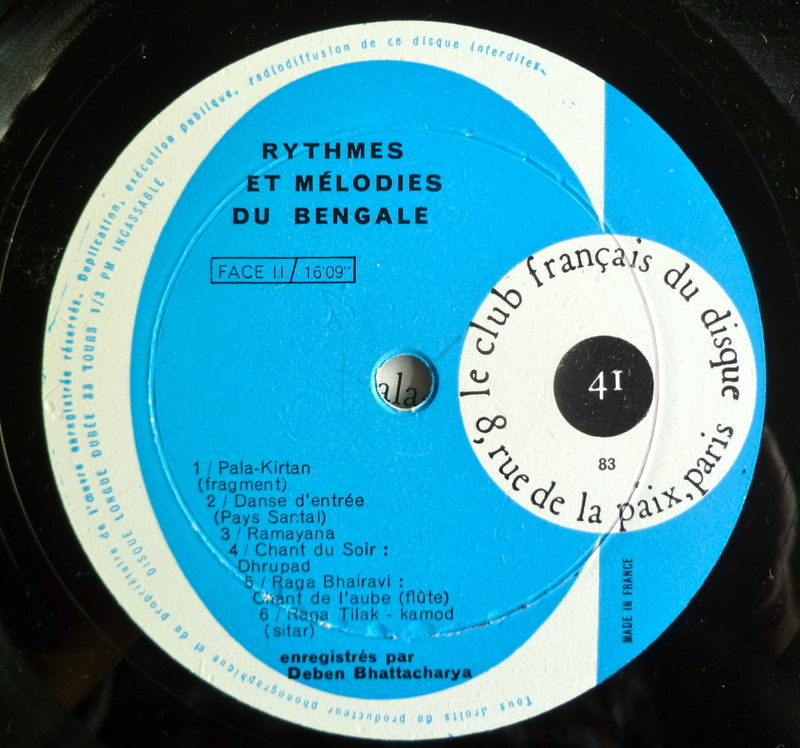 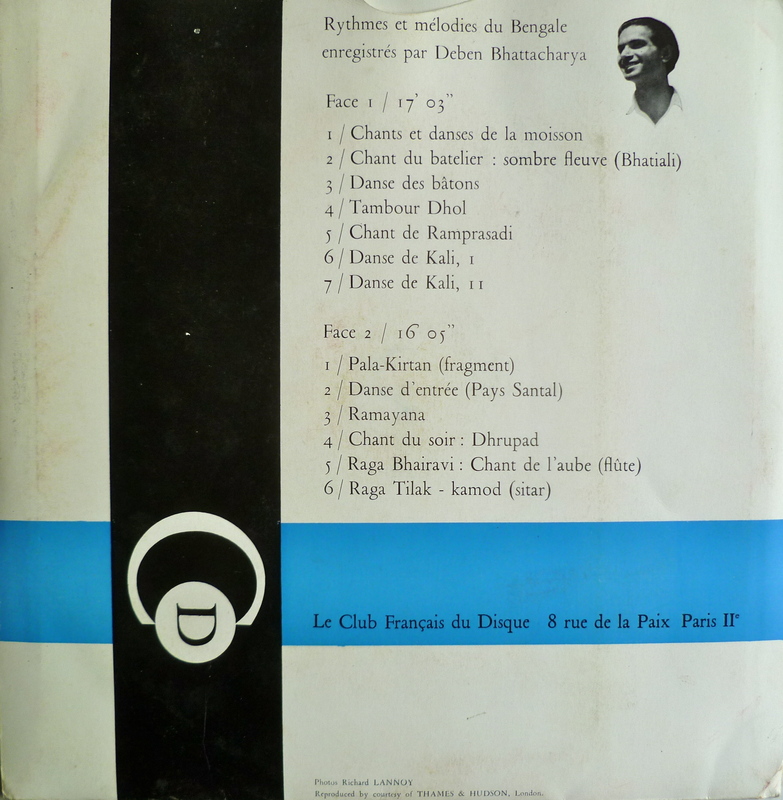 Here are two french 10-inch lps from “Le Club Francais du Disque” (issued, I believe, around the end of the 1950’s, or beginning of the 1960’s) which features Deben Bhattacharya’s recordings. 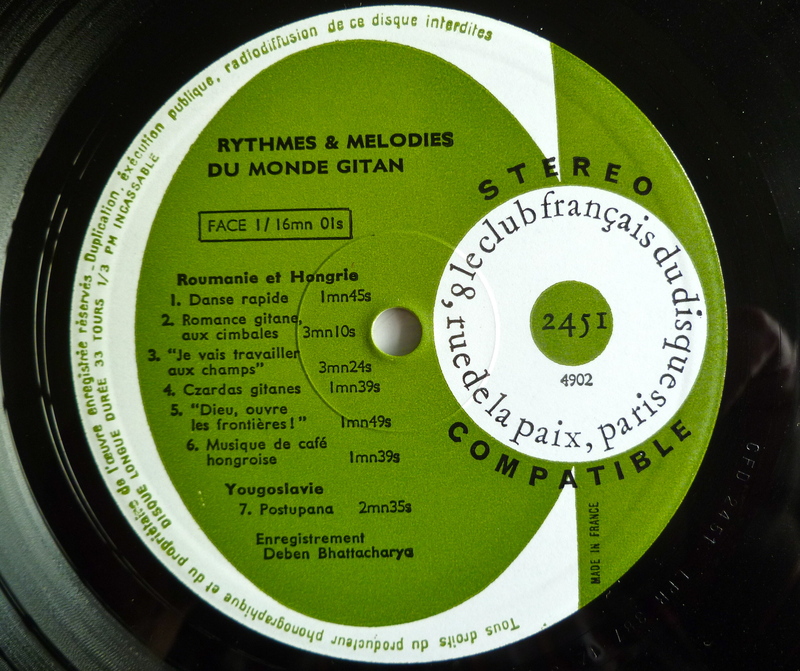 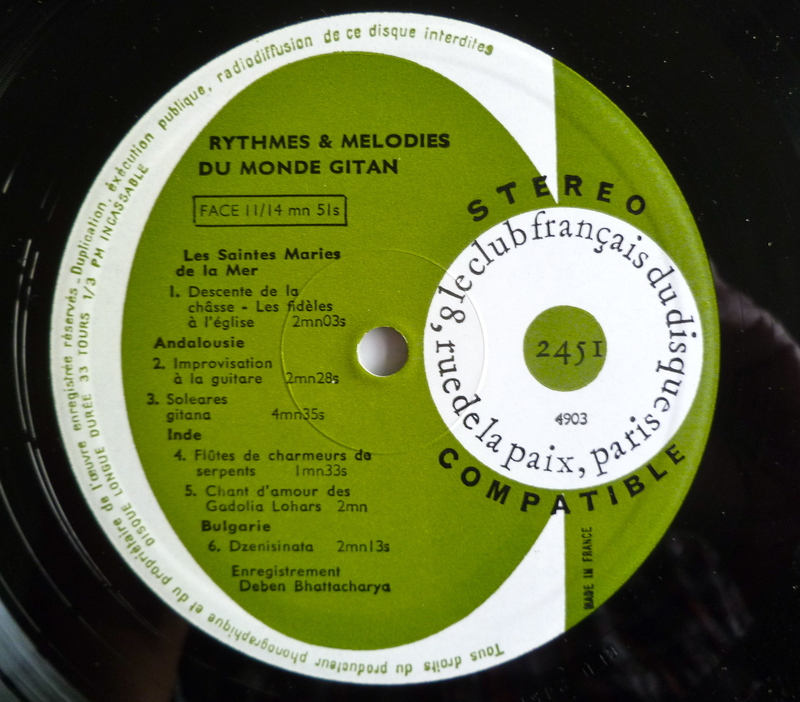 The first one is called “Ryhtmes et Meélodies du monde gitan” and is a sample of gypsy music from around the world. 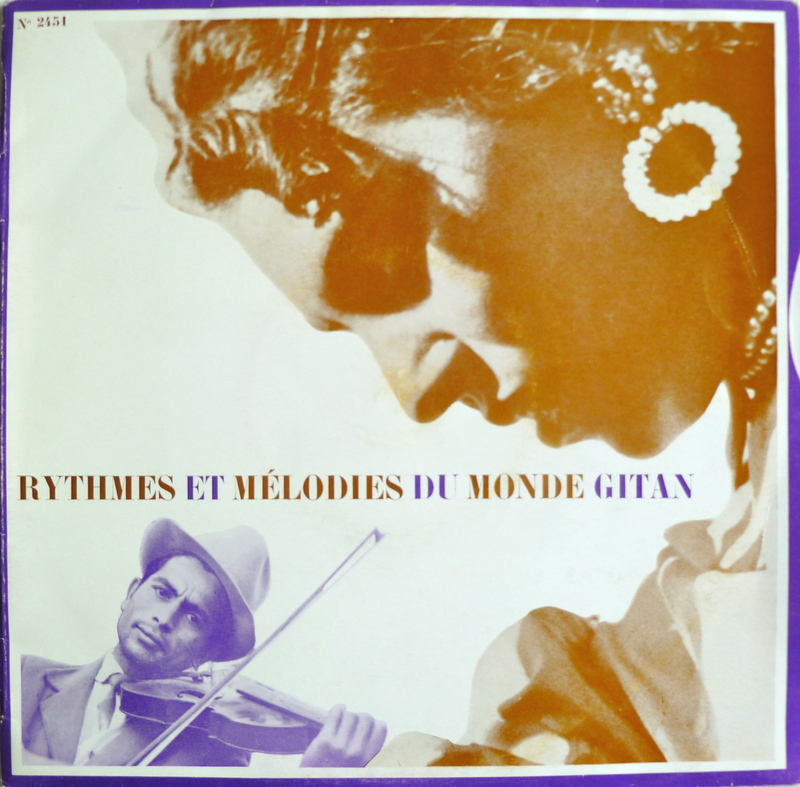 There’s a bit of everything in this 30 minutes tour of the gypsy world: Dance tunes, songs and romances, Hungarian Café music, a church service, flamenco guitar,snake charmer music, etc…. 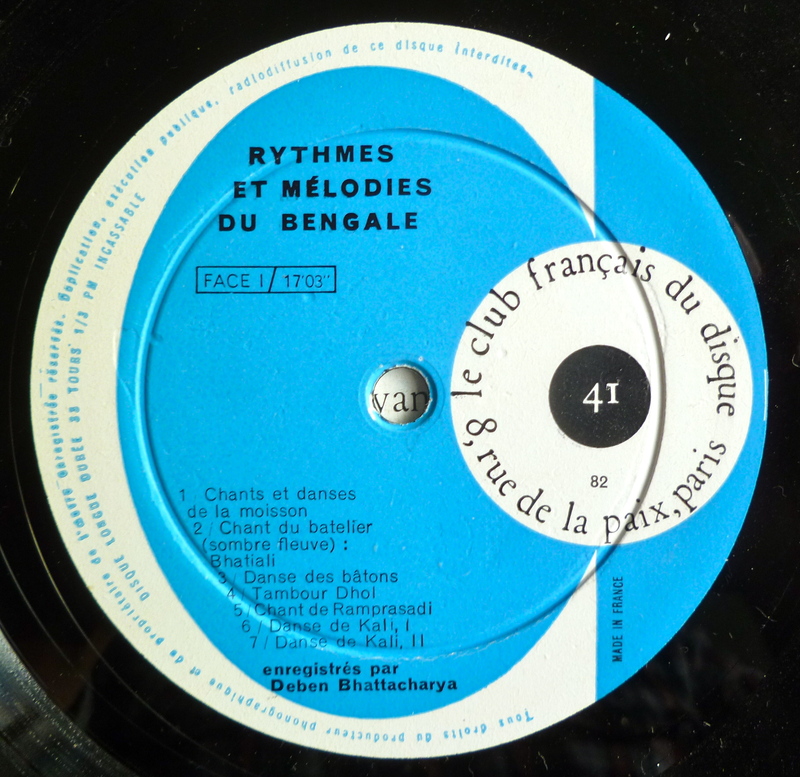 You’ll hear bits of music from Roumania, Hungary, Yugoslavia, France, Andalusia, India and Bulgaria. 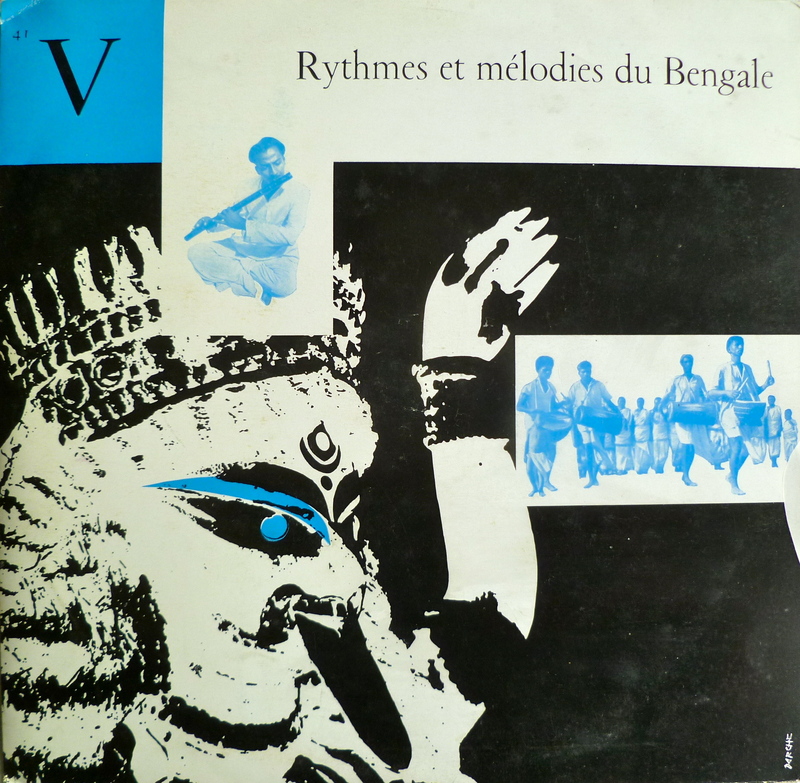 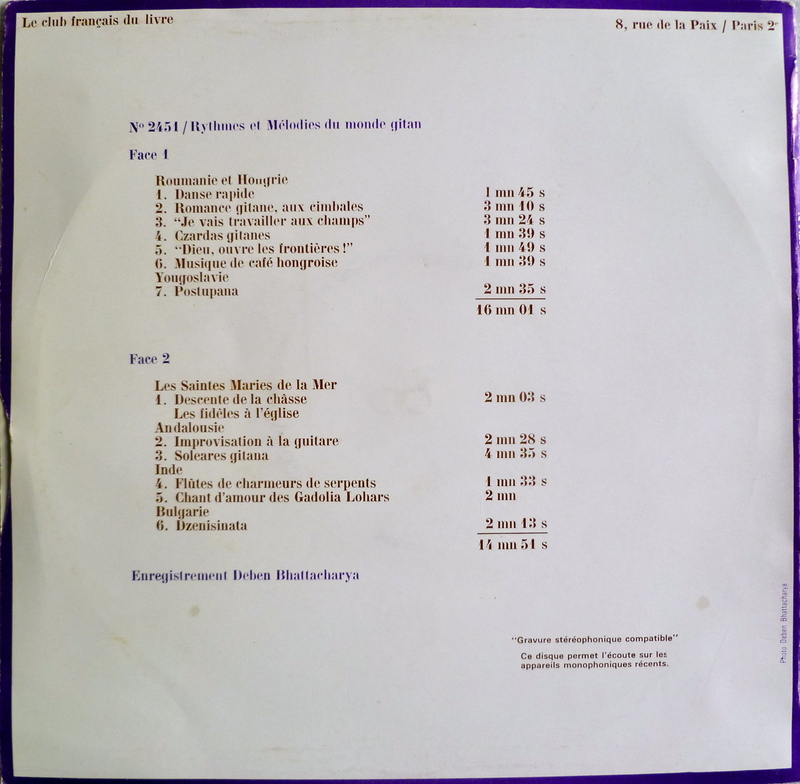 -Don’t forget to check the wonderful blog “Anthem for the nation of Luobanyia” for more Deben Bhattacharya lps.